Tired of the same old church fundraising ideas? Learn how to build revenue year-after-year using the Internet. So let's start with this simple fact. The Church always needs money! It's mission of bringing people to the Lord through Jesus Christ is on-going, time consuming, expensive and human resource intensive. Selling these products is hard work. Plus, more often than not, it is the church membership and friends that pay the price of purchasing them time-after-time, year-after-year. This can be unsettling, to say the least. The membership buys popcorn, candy bars, cookie dough, t-shirts, mulch, Christmas trees, discount cards, etc., etc., etc. It seems as though Church fundraising is ever present. How would you like to eliminate or severely reduce the number of annual Church fundraising programs? 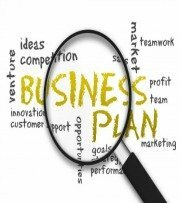 Now...It's Outside the Box Time The plan...Start an "Internet Business!" Yes, you may think this is too radical of a Church fundraising idea for your nonprofit Church. But please do not stop reading! For a minor amount of money and a human resource commitment (full time or part time) by one or two volunteers, the Church can build a profitable online business. With an initial significant time investment, a monthly income of $1,500 to $8,000 or more may be possible for each of 5, 10, 15 or more years with only a further human resource commitment of 2 to 4 hours per week to maintain your website after it is built. No website building experience is needed. If you know how to send an e-mail or do a simple WORD document. Yes, this is true! Why limit your Church fundraising ideas to your membership and community? Go international. Did you know there are literally thousands of online business opportunities just lying around out there waiting to be developed. You can find one to meet your passion. You can choose to sell a product or information. Why I am Offering This Opportunity? Over the years I have started from scratch and sold many profitable businesses, (Please see "About Me" ). Dozens of caring individuals have helped me along the way. I owe them big time. I could never hope to repay their kindnesses. Now, I want to begin paying it forward by trying. I am developing my educational website in order to reach and help more people. I'm not doing this to make a lot of money. I have enough. I'm doing this because (1) I want to and (2) it's a moral obligation that I now recognize I have. I am playing it forward. I'm enjoying it immensely! We spend a fair amount of time exploring what type of business most closely fits your knowledge, experience and passion. We do not want to mess up this phase. It is the key to success. Then, together we check out the competition for the initial business you have suggested, and determine the right approach or niche that produces the best opportunity for generating the amount of profit you need/want. If we need to rinse and repeat these tasks, then we do it. We must get it right! Next, we identify the right keywords that have a large demand but a low supply of existing websites, ones that will be profitable. Again, the most important service I provide is to explore together with you, and choose the right, profitable niche online business for your Church! Why spend the time and resources if you can't select the right business to get into? Your Church fundraising ideas must be "right on" to be successful. I strongly recommend using the methodology of success that Site Build It (SBI brings to the world of online entrepreneurship. The monthly fee of $29.99 per month or $299 annually is paid directly to SBI. SBI gives you easy to understand step-by-step guidance for building a profitable website, enabling you to build a site that can put your Church website in the top 1%-3% of all websites. Yes, the top 1%-3%! Yes, if you can send e-mails and do a simple word document, you have the experience you need to build a business website that generates lots of traffic to produce sales! If you would like my help, as a client, I do charge a minor fee. I want you to have a small financial commitment. As the saying goes, nothing invested, nothing to gain. Placing dollars on the table adds focused motivation. You already will be committing your brains and self-motivation to develop your business niche. For Churches, I request an fee of $395 payable upfront. That's all. This gets you my find your road to profitability business niche program outlined above. Because of client confidentiality, I do not give out information about anyone I've counseled nor will I give out info about your Church. I know this requires "trust" on your part. But you will see that I over-deliver, exceeding your expectations. I excel in helping with Church fundraising ideas. If you have questions please know that they are warmly welcomed and freely answered. The Association of Fundraising Professionals. I am wishing you all the best in your fundraising activities. Thank you for visiting Church Fundraising Ideas. Please go from Church Fundraising Ideas to the Profitable Small Business Ideas homepage.